BECA defines a business event as any public or private activity consisting of a minimum of 15 persons with a common interest or vocation, held in a specific venue or venues, and hosted by an organisation (or organisations). This may include (but not limited to): conferences, conventions, symposia, congresses, incentive group events, marketing events, special celebrations, seminar, courses, public or trade shows, product launches, exhibitions, company general meetings, corporate retreats, study tours or training programs. The demand for a business event is driven mainly by organisations choosing it as a forum to communicate messages, to educate or train, to promote a product, to reward or celebrate, to collaborate on issues and solutions, or to generate resources. Business events are generally made up of meetings, incentives, conventions and exhibitions. - with a common purpose. Incentives: These refer to programs which are attended by ‘high achievers' to recognise and further motivate participants for their performance within the organisation (TA, 2005). Incentives are also used to introduce new products and services to key players. 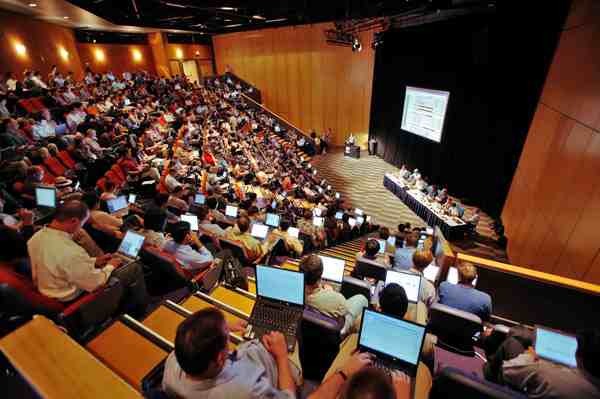 Conventions: Also referred to as conferences, conventions are a large assembly of participants, often several thousand, with many international visitors. Most conventions will have some form of exhibition attached. Exhibitions: Exhibition events are the gathering of suppliers to display their product and services for trade and public exhibition purposes (Deery et al, 2005, p 59).